Nokia has been reported to be returning to the mobile space to make Android-powered devices. 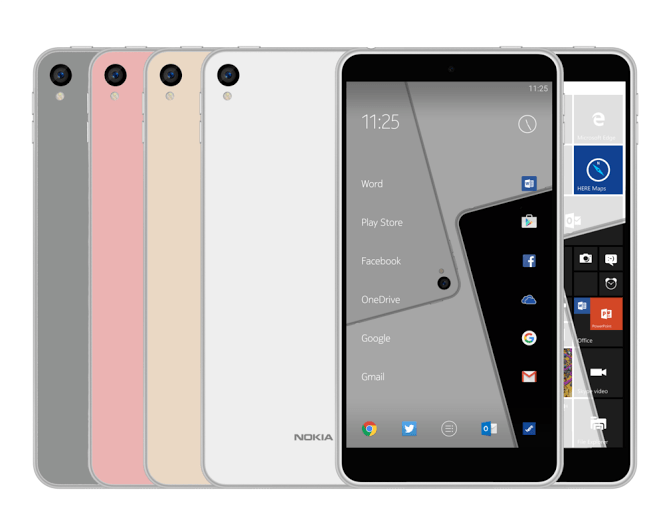 HMD – a new company setup to enable the increase in production of Nokia-branded phones and tablets, confirmed the news. “This agreement will give HMD full operational control of sales, marketing and distribution of Nokia-branded mobile phones and tablets, with exclusive access to the pre-eminent global sales and distribution network to be acquired from Microsoft by FIH, access to FIH’s world-leading device manufacturing, supply chain and engineering capabilities, and to its growing suite of proprietary mobile technologies and components,” HMD further said in a press release. On July 18, a new leak revealed some interesting snippets about Nokia's non-Microsoft, non-Windows, and non-Lumia plans. Two smartphones are in the works, both running Android and apparently coming in late 2016 or early 2017. the news for both Nokia androids is a 5.2-inch and 5.5-inch arrangements. Both devices will have 2K display resolutions, based on reports coming from GC's report. And another report showing Super AMOLED panels for both phones. A rating of IP68 could be included on these devices, making them resistant to water and dust. And a metallic build which will re-introduce Nokia's distinctive build and design qualities of previous years will also be a feature. These smartphones are definitely going to be high-end devices from Nokia, since they will be running on the Qualcomm Snapdragon 820 processor. The bigger screen phone (5.5-inch) is said to have a 22 megapixels camera, with the most sensitive sensors ever. GC reports that the Nokia androids will be available in China, among other places, with an expected price of around $500 US. And expected to be unveiled very late in 2016 or possible first quarter of 2017. There are some glaring differences with other reports but there is a clear evidence that there are indeed a duo of Android phones coming from Nokia at 5.2in and 5.5in.